Well-liked Confederate General T. J. “Stonewall” Jackson was wounded during the bloody Battle of Chancellorsville. If it were not for Jackson’s ingenuity and confidence, which won him the respect of General Robert E. Lee, the battle might have swung in favor of the Union. Jackson’s surprise flank attack worked perfectly to plan. The unsuspecting 11th Infantry could do little as they were caught unaware. Having succeeded in his first round of the strike, Jackson halted to wait for reinforcements before moving forward. As they waited for help to arrive, Jackson and eight officials rode out to survey the scene ahead of them. In the confusion of the night, Jackson and his party were mistaken for Union cavalrymen on their return and were gunned down by the 18th North Carolina Regiment of Lane’s Brigade (Hamlin 109). Four of the men accompanying Jackson were killed at the scene. Others were wounded, including General Jackson. Jackson suffered three bullet wounds; one to his left shoulder, one to his elbow of his left arm, and a third to his right palm (Bowers 347). He also suffered mostly superficial wounds to his face from the thick undergrowth that he was forced to ride into for cover. When Jackson fell from his horse, Sorrell was spooked and ran off into Federal territory only a short distance away. Sorrell was returned a few days later to the Confederate side (Davis 426). When word spread that Jackson had been injured, and after General Hill was also incapacitated, Brig. Gen. Stuart was appointed to take charge (“Battle of Chancellorsville”). Jackson was carried behind the lines to an ambulance, which took him to a makeshift field hospital of the 2nd Corps just past Wilderness Tavern (Davis 430). During the journey, the stretcher on which Jackson was carried came under direct fire from the Federals. One carrier was shot and killed and another took his place immediately. Still another of the carriers tripped and the stretcher came crashing to the ground. Jackson suffered a hemorrhage from this and it proved to make his injury worse (Chambers 419). He also complained of an aching pain in his side and chest, but nothing could be done for something that appeared to be in good order while his other wounds were causing more immediate health concerns (Bowers 349). Jackson had a specific medical provider he trusted most, but it took Dr. Hunter Mcguire a fair amount of time to arrive. Doctor Barr was the first on the scene to see to Jackson (Bowers 345). Other doctors who attended to Jackson and helped Dr. McGuire operate were Chief Surgeon Dr. Harvey Black, Dr. R. T. Coleman, and Surgeon Walls (Davis 432). A unanimous decision was made between the available medics that it was in Jackson’s best interest to have his arm amputated. They feared that if they simply removed the bullets and bandaged the wounds Jackson’s arm would be overtaken by gangrene (Bowers 347). He had already lost a lot of blood, but remarkably this would not be the primary cause of Jackson’s demise. See Jackson’s Amputation for more information. Roots Web Ancestory, “Stonewall,” http://www.rootsweb.ancestry.com/~casjcudc/graphics/stonewallsepia.jpg (accessed April 10, 2008). “Battle of Chancellorsville.” National Park Service. http://www.nps.gov/frsp/chist.htm (accessed April 1, 2008). Bearss, Edwin C. Fields of Honor. Washington, DC: National Geographic, 2006. Bowers, John. 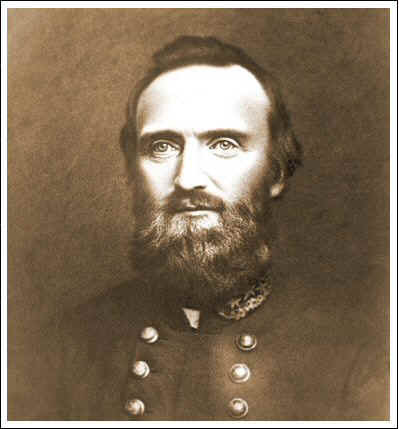 Stonewall Jackson: Portrait of a Soldier. New York: William Morrow and Company, Inc., 1989. Chambers, Lenoir. Stonewall Jackson: Volume Two, Seven Days I to The Last March. New York: William Morrow and Co., 1959. Davis, Burke. They Called Him Stonewall: A Life of Lt. General T. J. Jackson, C.S.A. New York: Rinehart and Company, Inc. 1954. Hamlin, Augustus C. The Attack of Stonewall Jackson at Chancellorsville. Spotslyvania, VA: Sergeant Kirkland’s Museum and Historical Society, Inc., 1997. This entry was posted in 1800s, Civil War, Conflict Sites, Elle, Great Lives, Spotsylvania and tagged Amputation, Battle of Chancellorsville, General Hill, General Stuart, Guinea Station, Stonewall Jackson on February 20, 2008 by eweaver.